Huge congratulations to Serena Williams on her pregnancy announcement! What an exciting time for her and fiancé, Alexis Ohanian. And who can believe she won the Australian Open while pregnant?!? I mean, when I was pregnant, taking a walk around the block was a huge feat. Ok, maybe not at 8 weeks pregnant but STILL! You know what I mean! Here are some push presents from deBebians that would be perfect for the mom-to-be. Lord knows you deserve it, especially after winning a Grand Slam while pregnant! Wow! 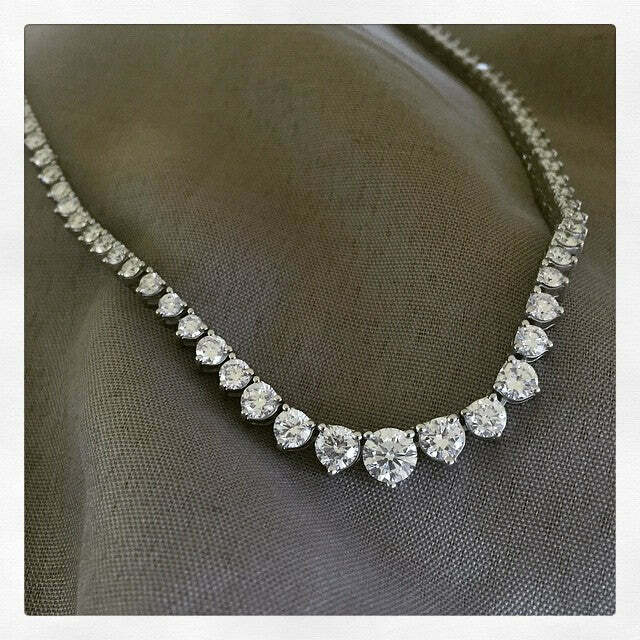 This fabulous diamond riviera necklace would look smashing on you, Serena! Featuring 10.00 carats of handpicked round brilliant cut diamonds, this diamond necklace does not disappoint. You can dress it up or dress it down. Maybe it’s not center court attire, but you will definitely have lots of opportunities to wear it! 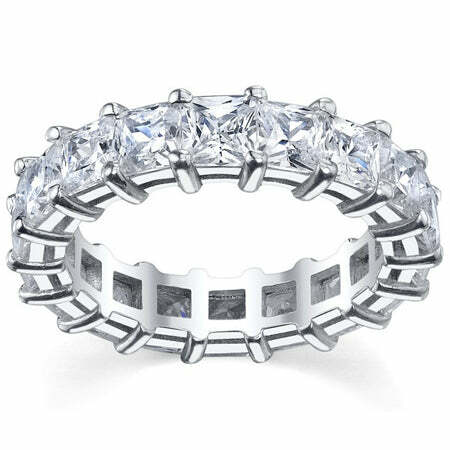 How about a gorgeous 7.00cttw princess cut diamond shared prong eternity ring? As a mom, I know there are plenty of times that you do not want to wear your engagement ring and an eternity band is a perfect alternative for these times. Being a full time working mom is not easy, and being a professional athlete on top of that?? Treat yourself, Serena! You do and will deserve it! 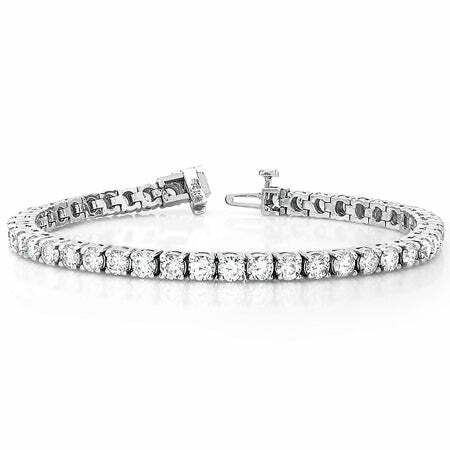 How about a 9.00cttw diamond tennis bracelet for the mom to be? Tennis bracelets are very fashionable and can be worn alone or alongside other bracelets. Mix and match and stack! I chose our largest version available on the site, but if you want bigger, Serena, we can do it! Just give us a call! These are just a few fun examples of push gifts for mom-to-be Serena. Before I had children of my own, I sort of laughed about push gifts thinking they were silly and another way to angle for more jewelry. Well, after now going through two pregnancies and births, believe me, push gifts are not a joke! Congrats again to the new mom-to-be, Serena Williams!